The image to the right is of porcelain crowns. One of these replaces the tooth area above the gum line. It virtually becomes the new outer surface of your tooth. They’re made out of porcelain or metal or a combination of both. Let’s say your tooth is decayed on three or four surfaces. Rather than get fillings, it usually makes more sense to get a crown. Fillings can only go so far to preserve your teeth and with a certain amount of decay it doesn’t make sense to fill them. You might as well get a crown, which is a more permanent procedure. It’s analogous to patching a bicycle tire: at the point your tire needs too many patches, it makes sense to get a new tire. If this is the situation, Dr. Pete will recommend a crown, but the final decision will be yours to make. Another instance when you’ll need a crown is after a root canal. In that case, you’ve still got your tooth remaining, which is a good thing. However, the tooth is no longer getting nourished by the roots, as they’re dead. The tooth becomes brittle and it absolutely must have a crown over it to protect it from breaking when you chew. There’s a lot of pressure bearing down on teeth during chewing — those chewing muscles of yours are the strongest muscles in the body! So, when your tooth isn’t strong it can easily break. That’s why you need to get a crown put on a tooth that’s had a root canal. To restore a tooth that may have deteriorated. To strengthen a tooth. For example, after a root canal, you’ll want to crown the tooth to keep it from breaking, as the root is dead. For cosmetic reasons – to improve the appearance of a tooth. Today, dentists can purchase equipment to make crowns in their offices the same day. And, although Dr. Pete is a big fan of technology, when it comes to crowns he prefers to work with lab technicians who are professionals at customizing crowns to look and feel natural. 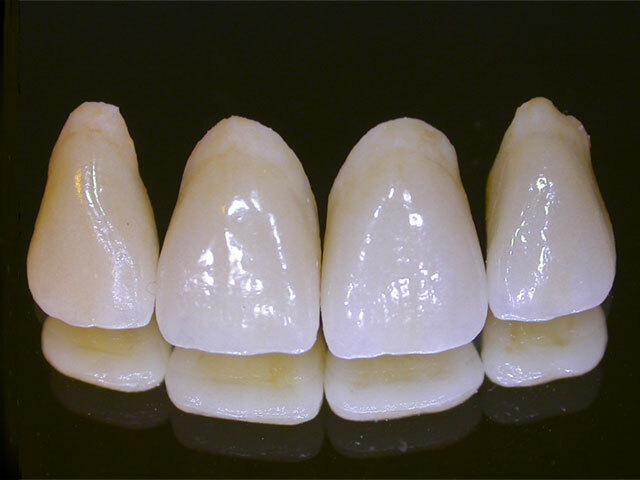 In-office dental crowns no doubt are functional, but Dr Pete prefers the fit and look of crowns made sculpted and and colored to his specifications. Hand-crafted crowns are put through a finishing process that customizes them fully to your mouth. They’re no more costly than those made on machines in dental offices. So you can get a custom look and fit for the same price as a crown made in-office on a machine. Although you won’t get the crown the same day, you’ll have a temporary made that looks like the real thing. Within a week your porcelain crown will be back from the lab. My crown for my front tooth looks great ! I was very nervous about how it would look but you would never know it wasn’t my tooth ! This experience at Dr.Pete and staff is always great ! Never any pain and they are always very patient. My lower right molar tooth had an infection that needed root canal. The temporary filling was smooth and Dr.Pete got a real looking crown for me. This was my first (and hopefully I won’t need one for long time) root canal the pain was significantly less than what I have been hearing from others. I also didn’t feel “one big tooth” after the crown was put in. My new crown looks great and feels good. It was painless.